Running a business is quite a challenge, especially when one has to deal with various elements of the business such as finding office space and recruiting the right employees. However, things are likely to change for many entrepreneurs thanks to virtual offices, which is a recent innovation that is already revolutionizing the way people do business. However, virtual office space providers are not the same. As such, you should lease virtual space that befits your brand image. Read on to learn more about this topic. Your business’s location can make the difference between success and failure. Entrepreneurs who run businesses using home addresses are likely to give clients the impression, that they are not reliable or trustworthy. According to a survey carried out by Entrepreneur magazine, 36 percent of business owners cited opening offices in other countries as a big challenge. One way of overcoming this hurdle is to lease virtual office space in a prestigious address that will most likely make it easier for you to attract clients. 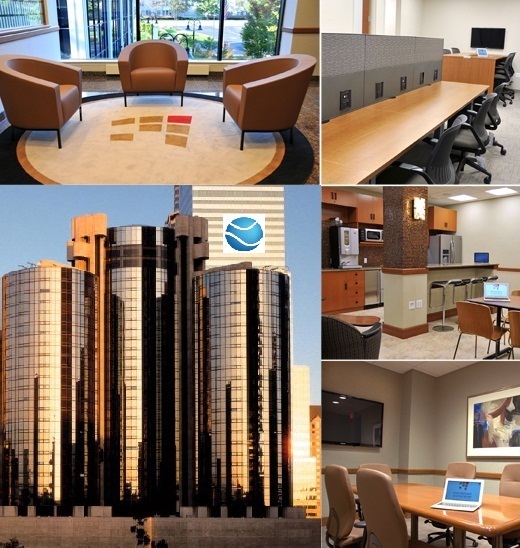 Besides location, clients pay a lot of attention to the way an office looks. Pictures of a well-organized office on your website will show clients that you are dependable. A study published by Carson Research Consulting Inc. shows that between 26 and 54 percent of satisfied clients are likely to recommend a business to other people. Virtual offices do not have to be dull and unassuming spaces. You should look for virtual office service providers who have set up unique workstations. Most people associate creativity with unusual working spaces. For example, the office layout for search giant Google includes open floor plans, workspaces designed to look like pods, and spaces flooded with natural light. Such an approach gives clients the impression that you run a forward thinking and innovative business. Whether you run a startup or an established business, virtual offices San Francisco can help you expand your market footprint. They also improve a business’ brand image. No one denies that there are great benefits of working from home but most professionals today get up early, get ready, barely grab a bite and have to rush through the pollution and traffic to their offices. In bigger city’s some travel for an hour or more to get to work.Virtual office services are an ingenious manner, by which this entire scenario can be reversed; it allows you to do most of your work from home or for that matter from wherever you are. With today’s growing paperless trend and digitalization of almost all cooperate proceedings more people dont feel the need of buying a separate office space or renting one. Freelancers and independent business professionals all over the world are realizing the potential of Virtual Office services and are making the most of it. They choose to work from home and use a virtual office service to select a prestigious address for their firm, capitalize on all the benefits of such an address and that too at a much lesser cost. Yes, every business or profession might not need a virtual office but for those companies who rely on making a good impression on their clients a virtual office might be that added edge which would let them outgrow their competitors. It may sound silly but its only human nature, a residential address can never inspire as much trust and confidence as to what a reputed business sector address would. The concept of virtual office in its full form aims at sufficing all your office needs without ever having a physical office. It allows a group of individuals to work together for a common goal, as a single entity without ever having them under the same roof. In essence, you can work in total collaboration irrespective of wherever your team might be in the world. How does that work” Availing to a virtual office service is not only limited to having a fancy address but includes a-la-carte mail delivery and forwarding services, a front lobby receptionist at your virtual office and full professional secretarial and administrative support service. As a part of the package of the services you avail, you can choose to hire a virtual office assistant. Virtual office assistants are just like typical assistants but they work from their own homes. They do the job of a normal secretary, as well as office administrative work. They would coordinate your e-mail, fax, telephone and postal service. Many a time businesses running from home feel uncomfortable entertaining clients at their residential address. It simply doesn’t seem professional enough and can give a wrong impression. Virtual Office companies provide a perfect solution to this; you can rent an office conference room for a set number of hours. They make a safe place to conduct any kind of business transactions. What is more, you get all the facilities available at a general office and request for more to meet your requirements. The trend of virtual office is a great opportunity for those who wish to start their business but could not because of the requisites required for the complete set up. I always wanted to start my own business but was taken back when I consider the essentialities required for setting up of a professional work space. I did not have enough capital to put up a set up so I was looking out ways by which I can give a professional look to my business while working from home. I wanted to keep myself away from spending money on the additional costs that are essential in the physical offices, such as hiring secretarial staff, transportation and many others. While I was exploring various ways, I came to know about the virtual offices that gave me an opportunity to work from home with ease. The virtual services made possible for me to maximize the time and minimize the costs thereby achieving my business goals. These virtual services provided me with an office address, telephone numbers and also meeting rooms that are similar to what can be found in other physical offices. With these virtual office services, I got benefited and started operating my business from almost anywhere as there is not requirement of a permanent office. With virtual office services, I avail all the facilities and amenities that are offered in the modern offices and I was also given the freedom to make use of these services anywhere, at any time and that too at an affordable cost. The virtual office services included mail forwarding services which included telephone answering to enable customer support and also to take order for my products. I no longer had to worry about the important messages that might be missed when there is no one is there for attending to the calls. I was provided with voicemail services along with service for handling mails and faxes as well as for communicating my messages. Virtual office services that were offered to me also included a business address. I did not want to use my home address for business posts thus was made available with a business address and an office identity. With the virtual office I was given the sophisticated business address which has helped in creating an image for having success. The services also included office meeting and conference rooms with fully furnished workplace that provided me with the professional staff as well as administrative support. The best part of availing the services offered by virtual offices is that I had the freedom of using my office whenever I wanted and where ever I wanted. My personal experience calls it to be one of the cost effective methods for establishing personal identity. I am pleased and satisfied with virtual office services that have helped me for earning identification in the industry without the need of spending money in the conventional offices. Just with the help of virtual office, I enjoy working in a professional environment.